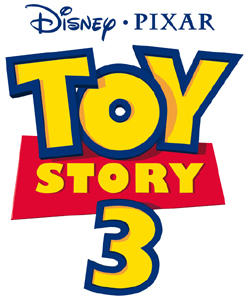 The biggest box office gross revenues of all the Pixar films as of August 2010; Toy Story 3 is the first animated film to generate over $1 Billion world-wide. The 103 minuet film cost $200 Million to produce - almost $2 million per minuet. The movie was nominated for 43 awards, and won 17, including Best Animated Feature at the 83rd Academy Awards, and Best Score Soundtrack Album for a Motion Picture, Television or Other Visual Media (2011 Grammy Awards). Music by Randy Newman. 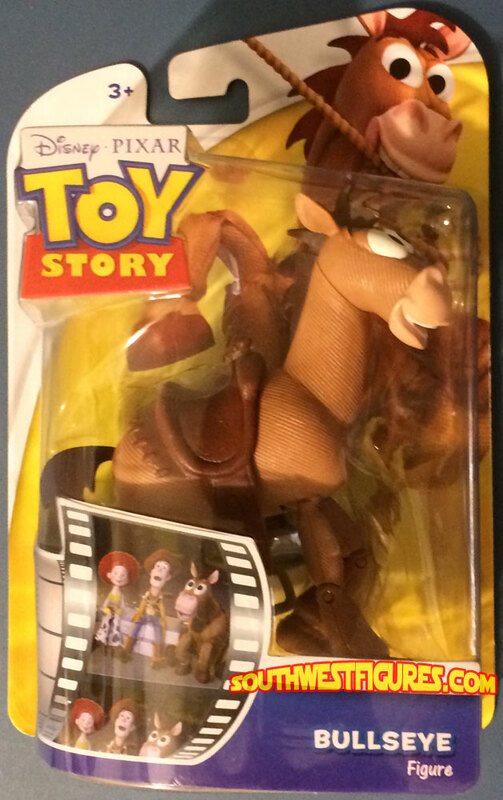 Jodi Benson (Barbie) and John Morris as "Andy." George Lucas founded Graphics Group (1979) who subsequently sold the studio to Steve Jobs for $5 million. 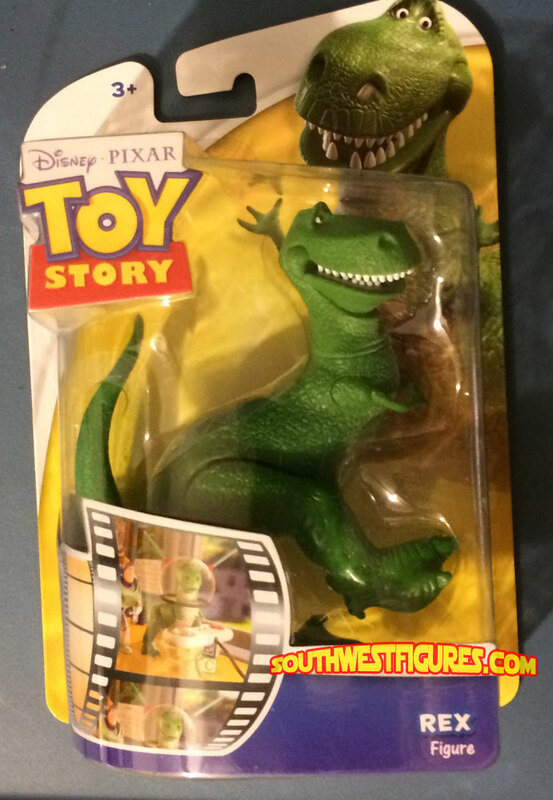 The company was renamed Pixar in 1986. 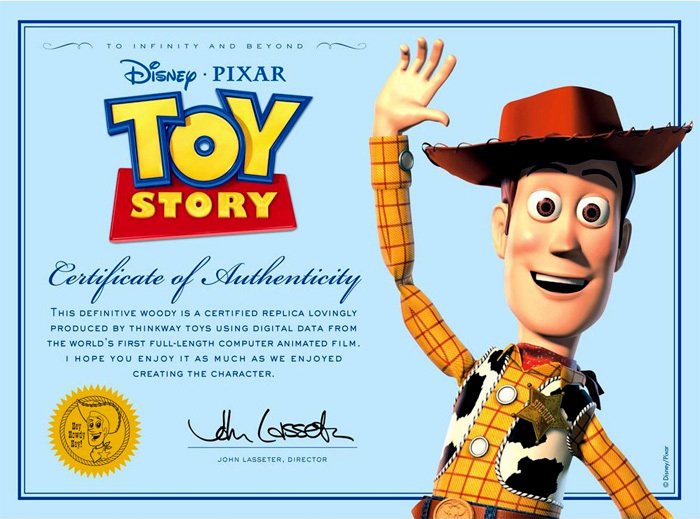 Disney bought Pixar in 2006 for $7.4 Billion in Disney stock. Approx. 4" tall Action Figure and accessories as shown. Approx. 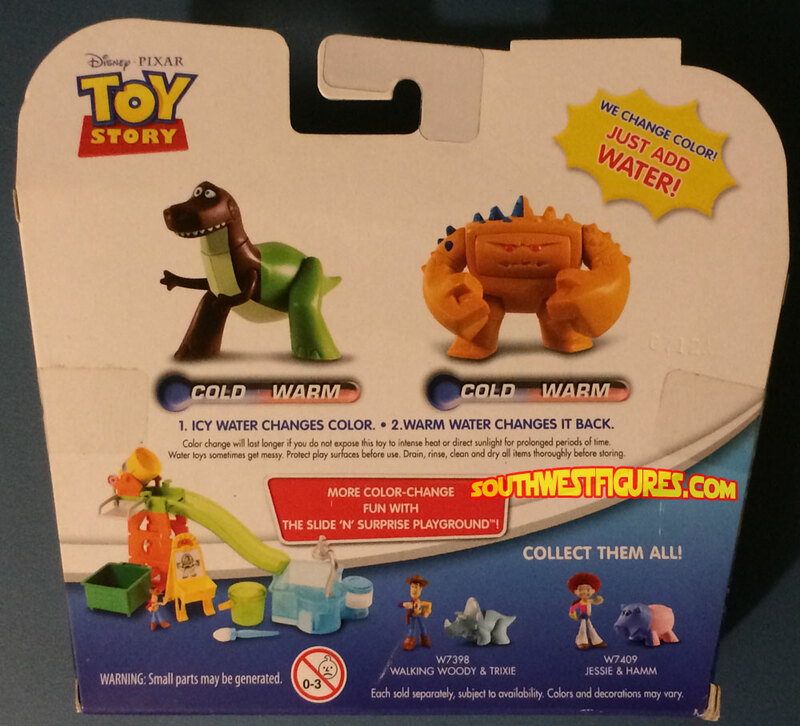 2" tall Action Figures changed color in warm or cold water. Exclusive 5 Piece approx. 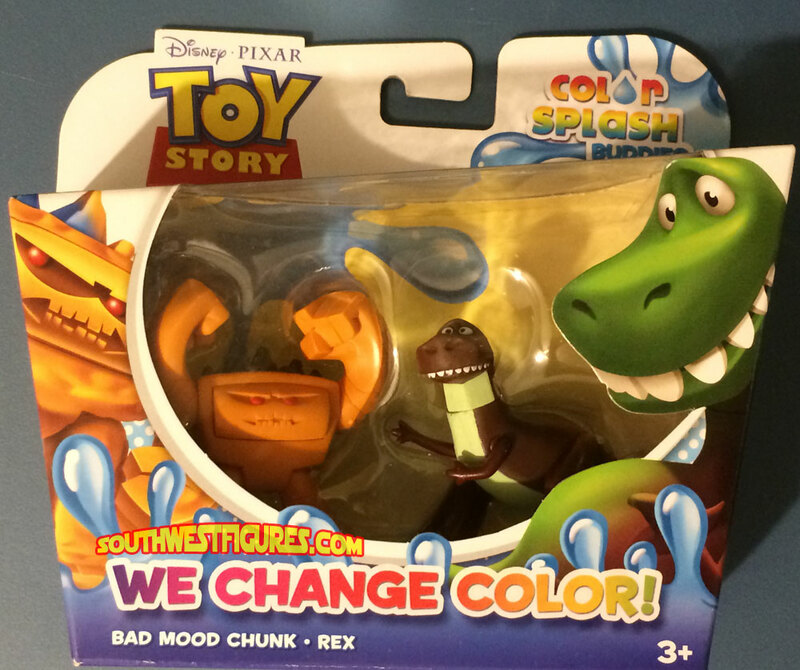 2" tall plastic Mini Figure Collector Set. 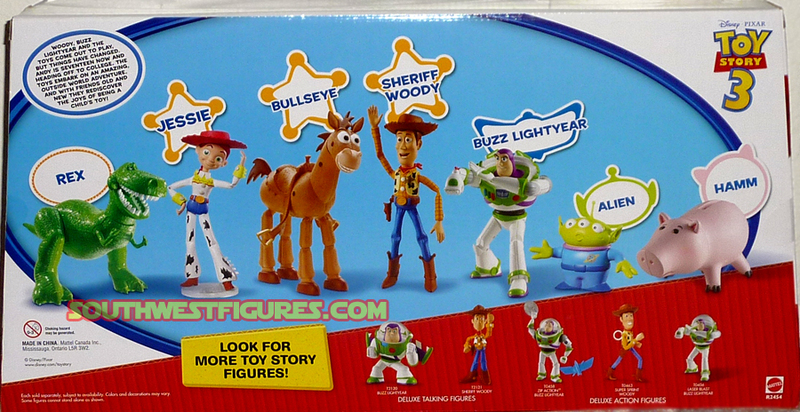 Includes: Rex, Hero Buzz Lightyear, Walking Woody, Jessie and Bullseye. Exclusive 5 Piece approx. 2" tall plastic Mini Figure Collector Set. 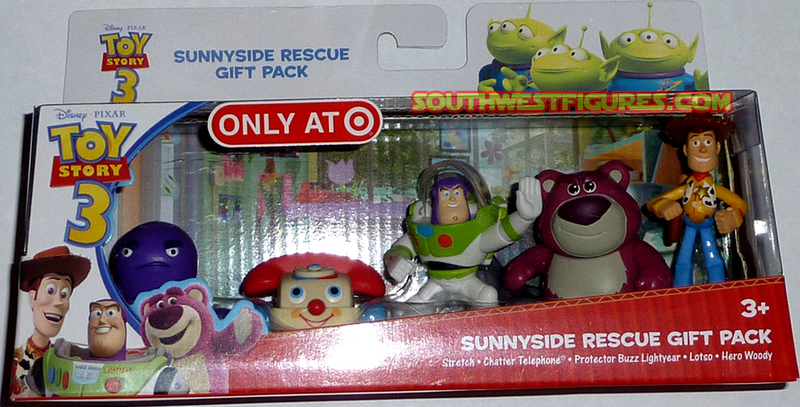 Includes: Sunnyside Rescue Stretch, Chatter Telephone, Protector Buzz Lightyear, Lotso and Hero Woody. 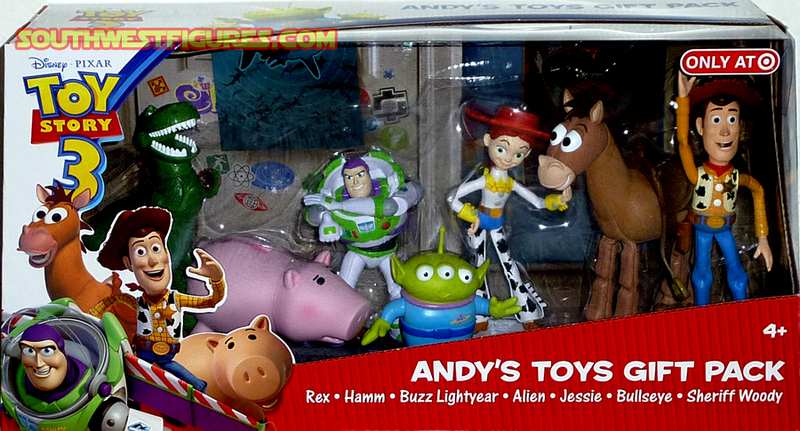 7 basic popular plastic movie action figures including Rex, Hamm, Buzz Lightyear, Alien, Bullseye, Sheriff Woody. Box: 19" wide x 10" tall x 5" inches thick. Price includes additional cost to ship this oversized box. Approx. 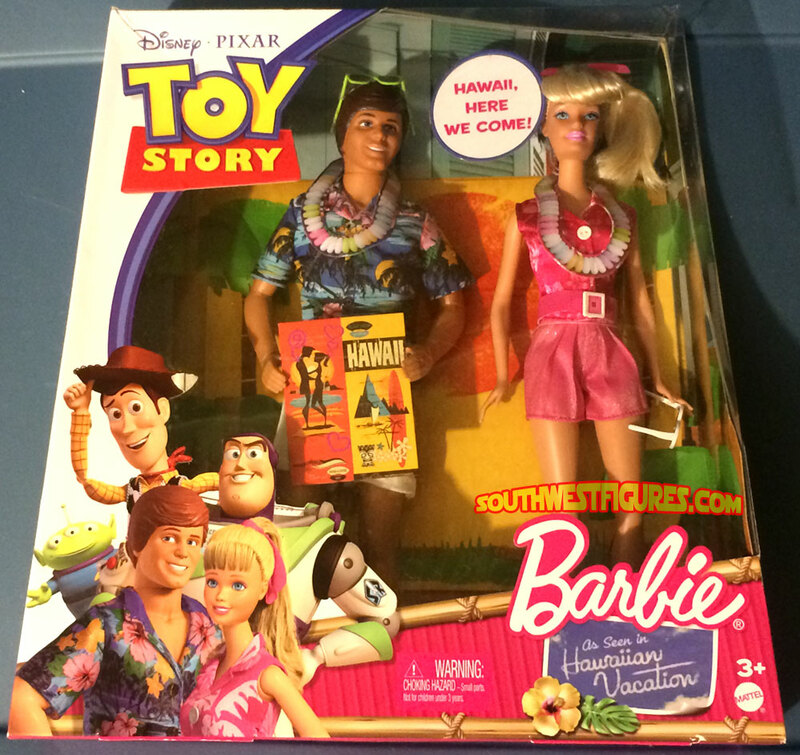 12.9" Ken & Barbie Hawaiian Vacation figures with complete unique outfits from the movie short inspired from Toy Story 3. very popular and rare items sold out quickly in 2010. 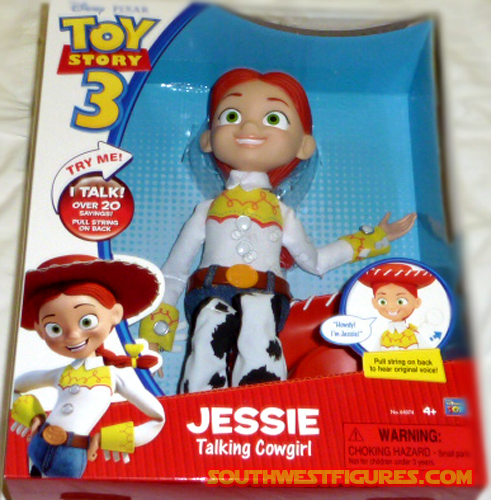 14" Jessie The Talking Cowgirl with pull ring on back of figure. 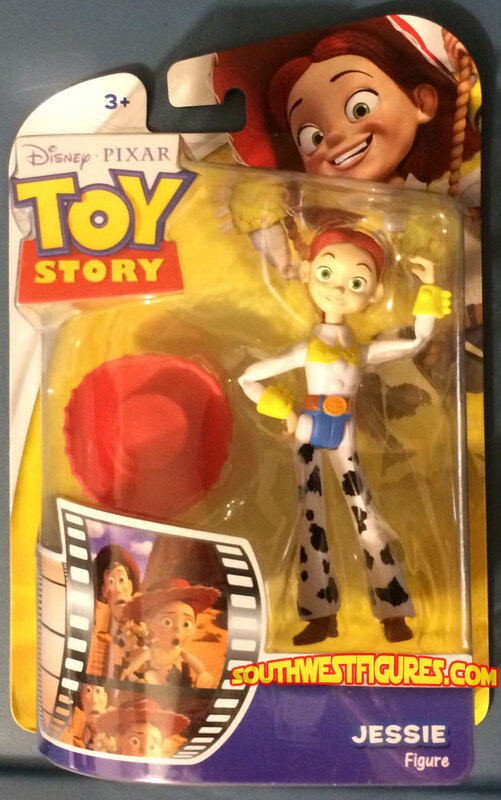 Actual character voice has over 20 phrases from Toy Story 3. 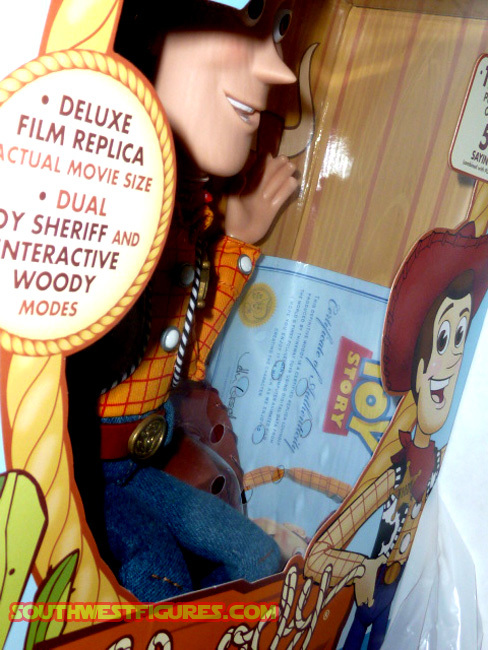 Disney-Pixar made a replica of Woody The Sheriff from Toy Story 3 so collectors (or kids) could have a copy of their exact figure as seen in the movie. 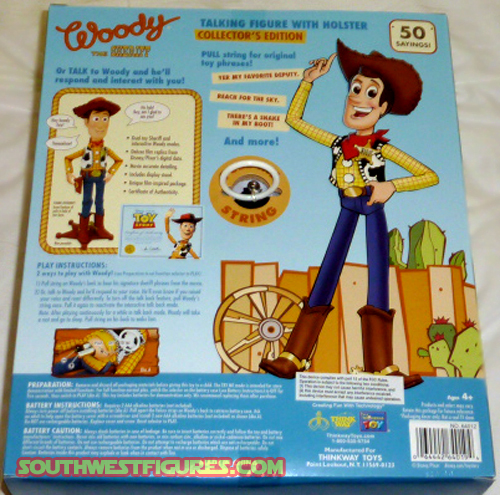 Actual movie size 16" Talking Woody with pull ring on back of figure. Actual character voice (Tom Hanks) has over 50 phrases. 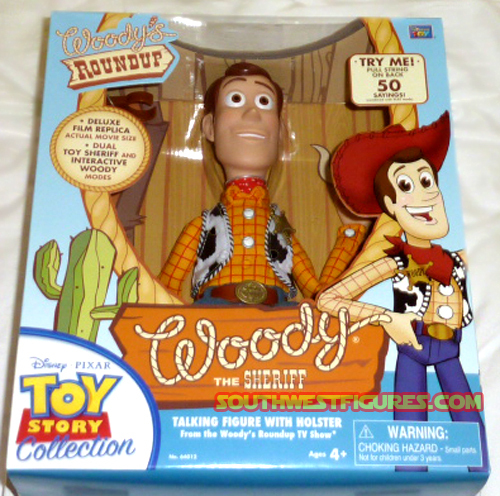 Character can tell if speaking in a normal tone or shouting at him, and will vary his responses. 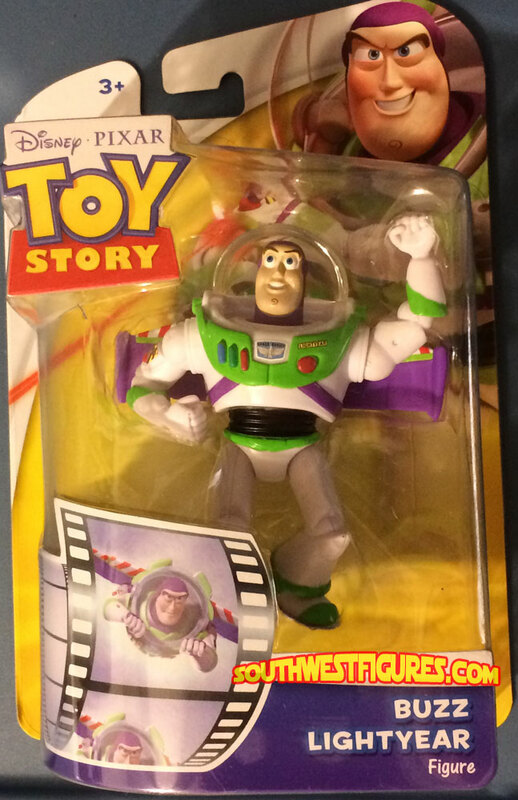 Includes Disney-Pixar certificate of authenticity. 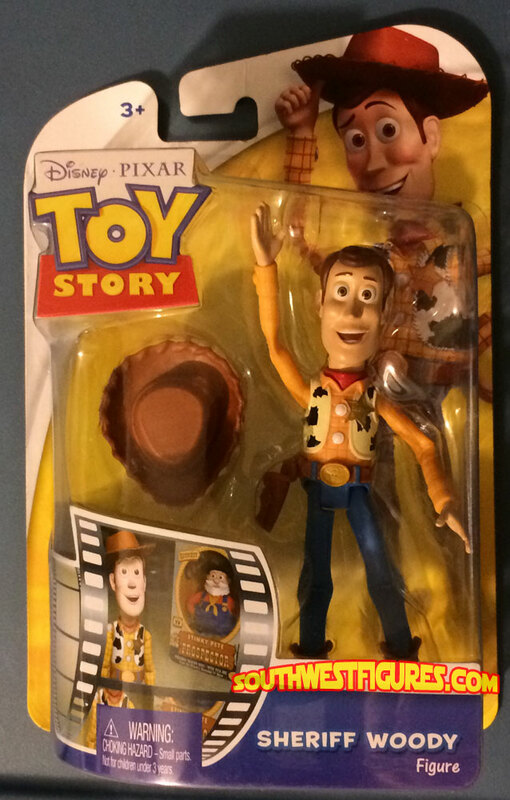 This is the top of the line Woody. 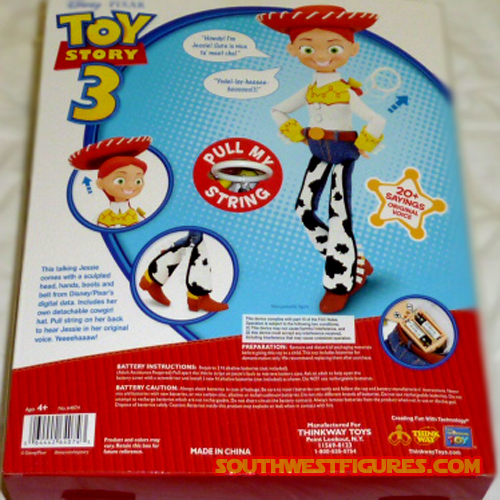 Interactive toy from Toy Story 3. 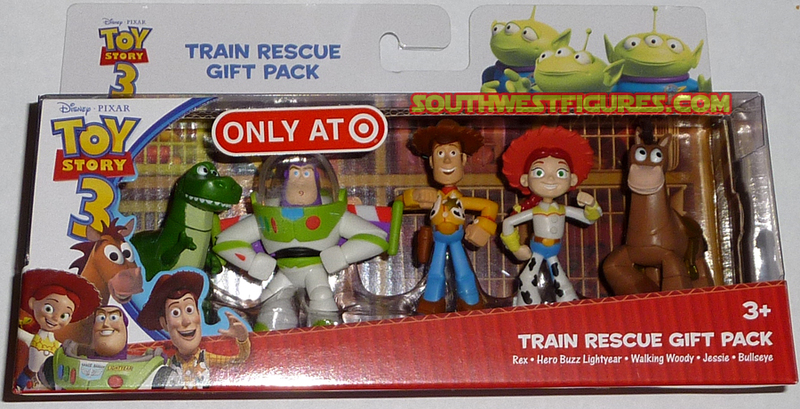 Toy Story, characters, images may be copyright and respective trade marks of the Walt Disney Company, Inc.